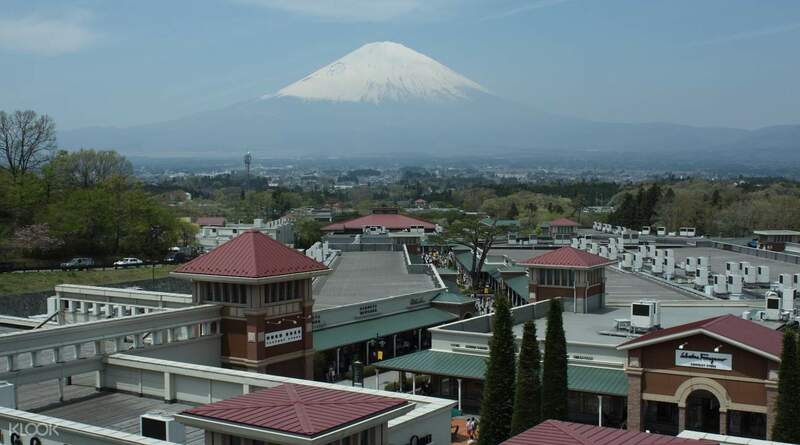 Gotemba Premium Outlets is known for having the largest amount of shops in Japan, full of brand names! We did not go to Mt. Fuji 5th station due to traffic conditions, which was diaappointing. We instead went to the Shrine. It was also nice with very tall trees surrounding it. Lake Kawaguchi was also a nice view. I wish there was more time spent in Oshino Hakkai since there were lots of food and souvenirs to buy. Only 90 minutes was allocated for outlet shopping, which was too short since it was a huge outlet mall. Your trip to Mt. Fuji begins with a departure from Tokyo, heading out to Mt. Fuji's Fifth Station. 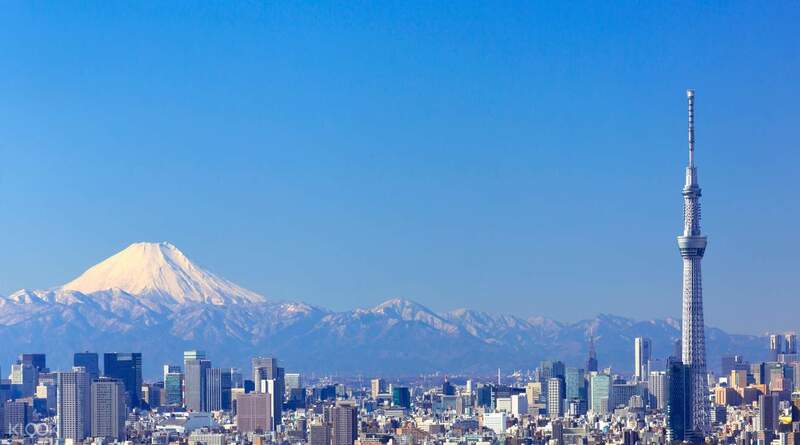 From this famous point on the iconic mountain, you can admire the dazzling mountain scenery as well as a panoramic view of Tokyo in the distance. 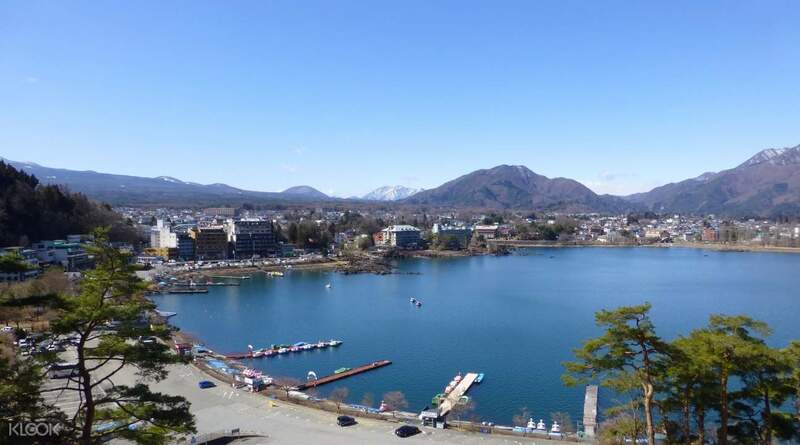 Afterward, you go sightseeing and enjoy some lunch (at your own expense) around Lake Kawaguchi, which is hemmed in by forests and mountain scenes. This is followed by a trip to Oshino Hakkai, otherwise known as the eight springs around Mt. Fuji. These smaller lakes are picturesque, surrounded by nature and traditional homes and springs. 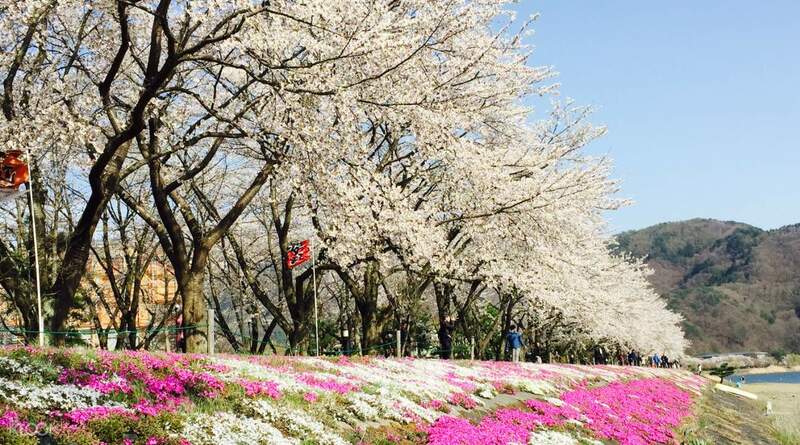 Your tour gets capped off by a trip to Gotemba Premium Outlets, which is an area where many luxury brands can be found. Enjoy doing some shopping and grab brand name items to take home for excellent prices. It was super tiring and we are unable to go to the 5th station because the road has been closed. The vip lounger was a little difficult to find so make sure you will allot enough time to look for the meet up venue. The meet up was 8:20 but we left 9:00am. You will spend most of your time in the bus traveling which is tiring. Yuki our guide was ok and gave clear instructions. It was super tiring and we are unable to go to the 5th station because the road has been closed. The vip lounger was a little difficult to find so make sure you will allot enough time to look for the meet up venue. The meet up was 8:20 but we left 9:00am. You will spend most of your time in the bus traveling which is tiring. Yuki our guide was ok and gave clear instructions. The tour guide (Yuki) did her job very well. She spoke in english and was friendly. The team made sure that it was safe for us all through out the tour. We were very lucky to see Mt. Fuji the entire day. The 5th station is closed at the time and we, instead, went to Fuji-sengen Shrine. Different kinds of food to try in hoshino hakkai. The tour guide (Yuki) did her job very well. She spoke in english and was friendly. The team made sure that it was safe for us all through out the tour. We were very lucky to see Mt. Fuji the entire day. The 5th station is closed at the time and we, instead, went to Fuji-sengen Shrine. Different kinds of food to try in hoshino hakkai. Tour guide spoke English well enough and was quite humorous. Stopped at great locations to take memorable photographs. The shopping factory outlets is 10times larger than hawaii’s And 1.5hrs-2hrs simply isn’t enough time, prices here were average anyhow. Overall was a great day out which I’d happily recommend to friends and family. Tour guide spoke English well enough and was quite humorous. Stopped at great locations to take memorable photographs. The shopping factory outlets is 10times larger than hawaii’s And 1.5hrs-2hrs simply isn’t enough time, prices here were average anyhow. Overall was a great day out which I’d happily recommend to friends and family. The trip was worth it although the time for exploring the place is very limited. Our tour guide yuri is very helpful. Good thing also the weather is nice so we saw mt. fuji...other places were a bit crowded but overall the trip was ok. The trip was worth it although the time for exploring the place is very limited. Our tour guide yuri is very helpful. Good thing also the weather is nice so we saw mt. fuji...other places were a bit crowded but overall the trip was ok. Assembly infront of Uneo Station, it is really convinient because it is near the park. Guide was really friendly. Went to 4 different places. 5th Station wasn't available that day so we went to other places which I think is a nice place also. Guide knows english and chinese! So if you know dual languange its really a good experience! Will be back again for this!!! Assembly infront of Uneo Station, it is really convinient because it is near the park. Guide was really friendly. Went to 4 different places. 5th Station wasn't available that day so we went to other places which I think is a nice place also. Guide knows english and chinese! So if you know dual languange its really a good experience! Will be back again for this!!! We got there way early before the appointment, so al is good. The tourist guide was very fluent in English and Chinese and very helpful in explaining the customs and tradition of the Japanese people when we visited the shrine nearby. Too bad the roads leading to 5th station, Mt Fuji was frozen so we did not see Fuji-san up close and personal. However, we were lucky that Fuji-san was clear for viewing when we reached Lake Kawaguchi—what a breathtaking sight. The visit to the Oshino-Hakkai ponds was awesome as well; had a go at the very cold and refreshing water and the produce (the strawberries, fruits, mochi and beef). Highly recommended tour! We got there way early before the appointment, so al is good. The tourist guide was very fluent in English and Chinese and very helpful in explaining the customs and tradition of the Japanese people when we visited the shrine nearby. Too bad the roads leading to 5th station, Mt Fuji was frozen so we did not see Fuji-san up close and personal. However, we were lucky that Fuji-san was clear for viewing when we reached Lake Kawaguchi—what a breathtaking sight. The visit to the Oshino-Hakkai ponds was awesome as well; had a go at the very cold and refreshing water and the produce (the strawberries, fruits, mochi and beef). Highly recommended tour! Didn’t get to make it to 5th base of Mt Fuji, due to the snowfall, the road up was closed. View from lake kawaguchi was really the money shot. It’s so quaint. The tour guide is from China, speaks Chinese, Japanese and English. I didn’t find it a challenge understanding her as she basically said something in Chinese then immediately follows up with a translation in English. Gave good information about the points of interest. Very punctual, sticks to the timing given during the trip stopovers. The traffic jam coming back into Tokyo from Mt Fuji was very draining though. Wrap up warm! It’s cold. Didn’t get to make it to 5th base of Mt Fuji, due to the snowfall, the road up was closed. View from lake kawaguchi was really the money shot. It’s so quaint. The tour guide is from China, speaks Chinese, Japanese and English. I didn’t find it a challenge understanding her as she basically said something in Chinese then immediately follows up with a translation in English. Gave good information about the points of interest. Very punctual, sticks to the timing given during the trip stopovers. The traffic jam coming back into Tokyo from Mt Fuji was very draining though. Wrap up warm! It’s cold. 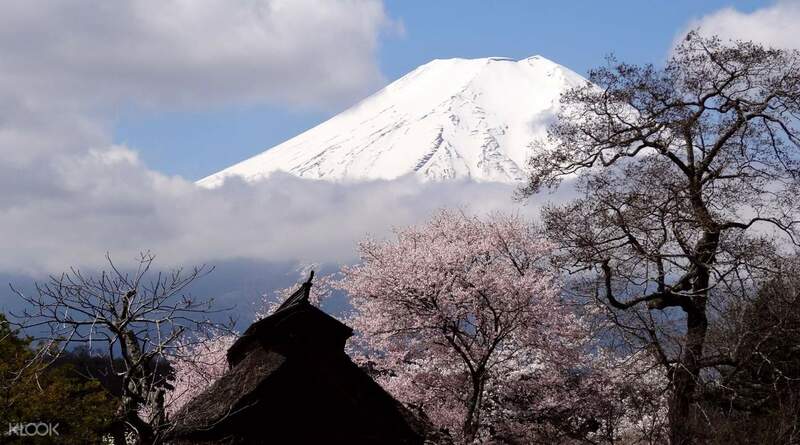 Great value and definitely worth the early morning start to get to see Mount Fuji without cloud cover which comes later in the day. The additional activities are all enjoyable and not just filler. It’s very hot on the bus and in shops, but about -9° up the mountain so take a selection of clothes. Great value and definitely worth the early morning start to get to see Mount Fuji without cloud cover which comes later in the day. The additional activities are all enjoyable and not just filler. It’s very hot on the bus and in shops, but about -9° up the mountain so take a selection of clothes.